0	jplist-folder-All-Posts-27105 jplist-folder-Featured-27108 jplist-folder-Blog-27106 Blog	jplist-topic-Agile jplist-topic-cloud jplist-topic-colocation jplist-topic-Multicloud jplist-topic-Network	1	04/16/2019 13:23:11	Blog By: Dan Beers, VP Colo BU Operations Services As multicloud and hybrid IT strategies become standard for the most agile, innovative enterprises, tech leaders must choose solutions that balance the needs of the business today with the agility and flexibility that the rapidly shifting tech landscape demands. That’s why committing to a data center or cloud solution for multiple years is a common source of consternation for infrastructure and operations (I&O) leaders. If business needs change, decision-makers rightfully fear being locked in to a solution or vendor, which may require them to sacrifice agility or devote precious resources to costly, unplanned strategic pivots. With INAP Interchange, there’s no need to fear. Our new program provides solution flexibility after you deploy your initial solution. Exchange infrastructure environments a year (or later) into your contract. That way, you can focus on current-state IT needs knowing you can adapt for future-state realities. What is INAP Interchange? 1	jplist-folder-All-Posts-27105 jplist-folder-Blog-27106 Blog	jplist-topic-It jplist-topic-It-Infrastructure	0	02/25/2019 12:50:14	Blog By: Nick Chang There can be no doubt that IT is on the leading edge of digital transformation, driving organizational change that is fully bringing enterprises into the digital era. And there’s no shortage of think pieces and editorials on how this has shifted the role of IT. But in the discussion, what’s often missing is the perspective of the IT professionals on the front lines, the ones doing the work day in and day out, often spending significant time even after hours to keep the business on track. What do they think about the IT function, and how would they describe their role in the business? Here’s what we learned in a survey of 500 IT professionals. IT Holds the Enterprise Together “We are the thread that keeps the company running and secure and together.” “We are the glue that keeps this company together.” IT is a function that touches every other. Even as its responsibilities have expanded far beyond merely maintaining technology systems, IT’s integration into every part of the enterprise weaves them into the day-to-day of the entire business. IT Is the Center of the Enterprise “Our department is the core of our organization.” “The IT department is the backbone of our organization.” The nuance here is not just that IT pros believe their work is integral to the other functions: They see it as intimately supporting everything that goes on in the business. In other words, they’re saying that without IT’s constant support, the business couldn’t function at all—an idea perhaps supported by just how much of IT pros’ days is taken up by routine maintenance. IT Drives the Enterprise “IT is the brain of the company.” As the keepers of the tech, the IT function is at the nexus of any modern enterprise’s operations. Businesses are faced with the growing need to quickly adopt and leverage new technology for digital transformation, and IT is in the perfect position to have a central role in these initiatives. IT Powers the Enterprise “We are the engine that makes this company work.” In our survey report, The State of IT Infrastructure Management, we found that 86 percent of IT pros would say that IT is driving their organization’s digital transformation efforts. And certainly, their oversight of the organization’s key technology powers the organization on a day-to-day basis, but their unique ability to drive innovation through technology is what sets the function apart. IT Is Attached to the Heart of the Enterprise “We are not only dedicated but attached to the heart of the company making sure every element is covered, fixed, updated and integrated.” Again, IT sees itself at the center of the organization, a function whose daily operations power the entire organization from top to bottom. And like a heart, IT’s impact on the rest of the organization is far greater than its size would suggest. IT Is Talking About Transformation—Everyone Should Be Listening In our survey, we asked IT professionals about the one thing they’d like their CEO to know about their department or team. The range of answers we got highlighted many lessons for anyone interested in the future of IT—and certainly not just CEOs. But from those responses, we also got a snapshot of a function in flux. As IT is called upon to do more with less and expectations—both internal and external—change, IT professionals are hungry to be recognized for their unique contributions to the enterprise, and not just as an operational cost center. The colorful metaphors they used to describe their jobs illustrate the passion and enthusiasm with which they approach their work, even with the stress of limited resources and packed to-do lists. For those in IT, does this resonate with you? And for those of you outside IT, does this change how you think? Weigh in on social media to continue the conversation. 15	jplist-folder-All-Posts-27105 jplist-folder-All-Posts-27105 Data-Sheet-Data-Sheet	jplist-topic-colocation jplist-topic-Data-Center	0	01/11/2019 16:54:20	Premium Data Centers: Backed by a proactive 100% uptime SLA, INAP facilities offer 18x more availability than N+1 alone. Enhanced Connectivity: Carrier neutral meet me rooms supplement INAP’s industry leading Performance IP™ and enable connections to a host of third party services. High-density configurations available, including cages, cabinets and suites 4 MW power capacity Award Winning Support: Colocation and Network Engineers are on site and ready to assist 24 hours a day, 7 days a week, 365 days a year. 16	jplist-folder-All-Posts-27105 jplist-folder-All-Posts-27105 Data-Sheet-Data-Sheet	jplist-topic-DRaaS jplist-topic-Hyper-v jplist-topic-Pay-As-You-Go jplist-topic-Secure-Seeding jplist-topic-Veeam jplist-topic-Vmware jplist-topic-White-Glove-Service-And-Onboarding jplist-topic-Zerto	0	11/27/2018 14:48:58	On-Demand Disaster Recovery as a ServiceWhile increasingly top of mind for many organizations, a fully replicated DR environment can be a tough expense to justify depending on the recovery objectives of your company. INAP’s On-Demand Disaster Recovery as a Service (DRaaS) is an entry level, pay-as-you-go solution. Pricing is based on the storage and licensing used while in standby; you only pay for your private cloud resources when a disaster is declared. With On-Demand DRaaS, gain protection from unexpected downtime without paying month-to-month for redundant infrastructure. 19	jplist-folder-All-Posts-27105 jplist-folder-All-Posts-27105 jplist-folder-Blog-27106 Blog	jplist-topic-cloud jplist-topic-colocation jplist-topic-Data-Center-Services jplist-topic-Games jplist-topic-Gaming jplist-topic-Infrastructure jplist-topic-IT-Services jplist-topic-Network	0	01/09/2018 14:33:29	http://www.inap.com/2018/01/03...Posted on January 3, 2018 by Brian Carberry & filed under All Posts Game On! In the world of online gaming, 2017 brought its own surprises, accomplishments and achievements. From the explosion in eSports participation and viewing to growth in virtual and augmented reality gaming, 2017 set many of the trends that will likely continue to grow in the new year. Here are four patterns you need to pay attention to in 2018. 1. The Growth of eSports Leagues The first trend is incredible growth in eSports and eSports leagues. What was once a pipe dream of gamers has become a multimillion-dollar industry. In fact, industry experts predict that eSports could generate more than one billion dollars by 2020. Hi-Rez Studios runs one of the more successful eSports leagues and championships for its popular SMITE game. Now in Season 4, the SMITE Pro League includes teams from around the world competing on both PCs and consoles. Every match is streamed live on the internet, and fans have the option of purchasing season passes which grant them access to see every event. Each season ends with the world championships at the Hi-Rez Expo held annually in Atlanta, which also includes competitions for Paladins and Hand of the Gods. (Shameless plug: INAP is the title sponsor at this year’s event.) With more eSports leagues and competitions on the way, 2018 will likely see further increases in audiences, revenue and market share. 2. Virtual and Augmented Reality The next trend is a continued push toward virtual reality (VR) and augmented reality (AR) technology. While the initial buzz and hype behind VR have begun to subside, several publishers and manufacturers are making significant strides towards bringing the technology to a wider market through increased investment and more content. And while still small by standards of the wider video game industry, VR technology continues to move into expanded markets and has sales figures to prove it. Oculus’s Gear VR recently shipped over five million units, and the PlayStation VR sold more than a million headsets in less than a year. While developers continue to experiment with creative ways to implement VR into gaming, it’s more likely we’ll see advancements in AR technology in the next year. There hasn’t been a major AR gaming breakthrough since 2016’s Pokémon Go (Remember when everyone was running around your neighborhood trying to catch digital creatures? ), but retailers have discovered unique ways to add AR into the consumer experience. In fact, IKEA has been doing it for years. Since AR does not require the use of expensive equipment like headsets nor the need for as significant an investment compared to VR, it’s just a matter of time before an AR developer comes up with the next big online or mobile gaming sensation. 3. Diversity and Inclusion Boys aren’t the only ones playing video games. More than 40 percent of all gamers in the U.S. are female, and this change in audience is being reflected on the screen. More games are being developed that feature minorities, women and other underrepresented communities. We Are Chicago has earned critical praise for its unique storyline and depiction of an African-American growing up in the city’s South Side. Nintendo Switch’s highly anticipated Seasons of Heaven will tackle unique character viewpoints in a puzzle adventure game based on a protagonist with Asperger syndrome. And writers revealed in an Overwatch comic series that popular character Tracer is gay. Expect this diversity and inclusion trend to continue in 2018 as an audience eager for roles that no longer play on stereotypes is influencing publishers and developers to craft stories that include more voices and perspectives than ever before. 4. Make Way for Indie Game Developers Independent game publishers and studios are expected to take a big step in 2018. Independent game makers have been on the rise for the last several years, but their growth has accelerated with new trends and technology sharing to foster a democratization of game development. One of the top reasons independent game makers can compete with industry giants is due to digital downloads. Independents create and publish games without being forced to make deals necessary to secure shelf space in retail stores. This has leveled the playing field and allowed smaller game makers to sell directly to their consumers and target audiences. And it appears to be working, as more games are published every year. A 2016 study of all the games on Steam ­– a digital distribution store for online games – revealed nearly 40 percent of available titles on the service were released that year. Full Speed Ahead in 2018 As the world of online gaming moves into 2018, the industry will move to adapt to its changing circumstances and environment. But some things will remain the same. At the heart of every online gaming experience is a powerful and robust infrastructure that gives gamers a seamless adventure with no lag. Contact INAP today to learn how our high-performance IT infrastructure solutions and data center services can provide your users an optimal gameplay experience with low latency, even during peak periods. 20	jplist-folder-All-Posts-27105 jplist-folder-All-Posts-27105 Brochure-Brochure	jplist-topic-Dedicated-Private-Cloud jplist-topic-DR jplist-topic-HIPPA-Compliant jplist-topic-Hyper-v jplist-topic-PCI-Compliant jplist-topic-Secure-Seeding jplist-topic-Veeam jplist-topic-Vmware jplist-topic-White-Glove-Service-And-Onboarding jplist-topic-Zerto	0	01/02/2018 10:34:52	Dedicated Disaster Recovery as a Service Suited for organizations with the strictest business continuity and compliance needs, INAP’s Dedicated Disaster Recovery as a Service (DRaaS) features a fully customizable, isolated Dedicated Private Cloud (DPC) environment for failover events. Backed by our industry-leading disaster recovery SLA, Dedicated DRaaS delivers aggressive RPO/RTO times to minimize the threat of downtime. Dedicated DRaaS is ideal for users with complex architectures and advanced configuration requirements, as well as for those who need a space for development and testing when not in use for disaster recovery. 21	jplist-folder-All-Posts-27105 jplist-folder-All-Posts-27105 jplist-folder-Blog-27106 Blog	jplist-topic-cloud-computing jplist-topic-colocation jplist-topic-Colocation-Provider jplist-topic-Data-Center jplist-topic-Data-Center-Provider jplist-topic-It-Infrastructure jplist-topic-Trends	0	01/02/2018 09:55:45	http://www.inap.com/2017/12/21...5 Highlights from the Gartner IO Conference 2017 Posted on December 21, 2017 by Brian Carberry & filed under All Posts Insights and Advice from our Experts INAP was fortunate to be a sponsor at Gartner’s annual IT Infrastructure, Operations Management & Data Center Conference 2017 in Las Vegas. In addition to exhibiting our high-performance managed hosting and service solutions, our team of experts had the opportunity to attend some of the popular keynotes and sessions throughout the four-day event. The conference included more than 150 sessions, so naturally we weren’t able to attend every one. We would have liked to, but since time travel is still unreliable at best, our experts picked the sessions they knew would be most relevant to the future of our business and our ever-evolving industry. And they weren’t disappointed. Here are five key industry insights and trends our experts brought home with them from the Gartner IO Conference. 1. Make Way for Artificial Intelligence and Machine Learning You probably already use some form of automation in your business. Chatbots and virtual assistants are increasing in popularity, but are you doing enough to improve the efficiency of your infrastructure? During their opening keynote address, Gartner’s Milind Govekar and Dave Russell predicted that if you don’t effectively adapt artificial intelligence (AI) and machine learning (ML) into your environment and workloads by 2020, your infrastructure may not be operationally and economically viable. As a result, they expect an increase in software-centric or programmable infrastructure to support advanced platform thinking and integration with minimal human intervention. If utilized correctly, this technology will enable your environment to process more data faster with less cost. Stay tuned. 2. Living on the Edge It was just a few years ago that the internet of things (IoT) took off as the next big advancement in digital technology. Businesses now need to embrace the edge by blending physical and digital resources to create an experience that provides value and makes a difference. It’s not about rolling out technology for the sake of doing it. In a session about top trends in 2018 and their impact on infrastructure and operations, Gartner VP David Cappuccio pointed out the necessity of creating an intelligent edge. This focuses on utilizing connected devices that provide a real-time reaction and allow for interaction between things and people to solve a critical business need. 3. Data is More Valuable Than Ever In a digital world of AI, connected devices and intelligent edges, data is becoming even more important. Machine learning and automated systems will require additional data to analyze trends and behaviors to make logical decisions to improve efficiency, especially when connected with multiple devices. To manage the influx of digital information, a greater priority will be placed on data storage and backup. (Shameless self-promotion: INAP launched a new managed storage offering during this conference.) More data also means more opportunities for hackers, and businesses are being forced to take additional steps to combat this risk. In a session about the state of business continuity management, we learned that average disaster recovery budgets were expected to increase in 2017. 4. Cloud Reaches New Heights One of the overwhelming themes that kept coming up during sessions and keynotes was a focus on the cloud. You’re probably already familiar with some of the stats that predict massive increases in cloud computingover the next few years. Gartner’s Govekar and Russell doubled down on those forecasts, claiming that by 2021, 80 percent of organizations using DevOps will deploy new services in the public cloud. It appears we can expect more businesses to transition to a cloud-only model, where before it was just cloud first. The impact remains to be seen. 5. Mind the Skills Gap With technical innovation and the transition to a more cloud-focused infrastructure, IT teams are being driven to master additional skills. Some employees may be fast learners, but the reality for most businesses is that they’ll likely experience disruptions due to infrastructure and operational skills gaps. Rather than being specialists or generalists, IT talent should strive to become versatilists – meaning they are a specialist for a certain discipline, but can easily switch to another role. In the meantime, companies need to consider the experience level of their existing teams when rushing to adapt new technology. Implementing New Trends Your business may already be in the process of implementing changes based on these trends. Or perhaps you’re aware that you need to get the ball rolling, but you’re not ready just yet. Regardless of where you currently sit, you should consider how these trends will impact your industry and business model or you risk being left in your competitors’ dust. It may seem like a daunting task, but you don’t have to do it alone. Consider a trusted partner who will be there every step of the way to provide guidance, support and the necessary services to help you achieve your business goals. That’s where INAP comes in. Our team of experts will assist you in preparing your organization and infrastructure for the technology of tomorrow. Contact us to learn how we can help you build a better IT infrastructure for today and the future. Can I Trust My Baby on That Puffy Cloud? 22	jplist-folder-All-Posts-27105 jplist-folder-All-Posts-27105 jplist-folder-Blog-27106 Blog	jplist-topic-cloud jplist-topic-cloud-provider jplist-topic-Cloud-Security	0	01/02/2018 09:53:52	http://www.inap.com/2017/12/19...Can I Trust My Baby on That Puffy Cloud? Posted on December 19, 2017 by Rob Warden, VP Marketing, INAP International & filed under All Posts A Bed in the Cloud At a recent technology conference, I overheard a couple of people talking about how they couldn’t get comfortable with trusting the Cloud. One of them said that trusting your data to the Cloud would be like setting your newborn baby on top of a fluffy cumulus cloud for a nap: it might look like a good idea at the time, but it’s not a smart decision. The metaphor was interesting, but one I struggled with given the security available with Cloud technology. While the occasional stories about health service companies having data held ransom, financial services data being hacked, or entire Cloud providers going down altogether are troubling, these security breaches are largely preventable. To help ensure you find comfort in the Cloud for your business, keep the following security issues in mind. Safety Measures for the Cloud From the IaaS side, Cloud providers start you on the strongest foundation possible. For example, public and bare-metal cloud servers provide clients with a virtual LAN to separate their space from other assets. These VLANs act like a moat for a frontline defense against security breaches, although like any good defense you must have multiple strategies in place. In addition to the VLAN, cloud customers can consider firewalls, patch management, data encryption and intrusion detection/prevention. The great thing about firewalls in Cloud environments is that most providers offer firewall services, and they can be applied at various levels. This flexibility allows you to choose the safest solution based on your individual needs: you can set them up at the server level or have web application firewalls, providing additional security at whatever level your company needs it most. While shopping around, make sure to ask what firewall options a Cloud provider offers. Of course, a moat and a firewall still might not be enough protection, so you may go further and include patch management to ensure that all of your existing defenses stay at 100%. Many hacks exploit known weaknesses that just take too much manpower to keep updated, so delegating patch management to a third party allows your IT team to be more vigilant elsewhere. Ask your Cloud provider what services they offer to help keep your Cloud resources running with the most recent patches and updates.Similarly, intrusion detection and prevention can further strengthen your defense, allowing you to get ahead of efforts to infiltrate your data. Data encryption, while often client-initiated, can also serve to keep prying eyes away from your data. Employing these services in addition to those above should provide your baby with a safe, comfortable surface! Keep Your Baby Safe The man I overheard at the conference was correct about one thing, at least: your data is your baby. You certainly need to make sure your baby stays safe, and one of the biggest factors in ensuring your data or transactions will be secure with a specific Cloud provider comes in the form of clear communication. Know what options your provider has available so that you can supplement your own interventions if necessary: Does your provider offer firewall services? If so, is it at the server or application level?Do they offer patch management to keep you up-to-date?Do they have any programs to detect or prevent intruders? Answering these questions takes you one step closer to being secure on the Cloud. To help you get comfortable understanding which cloud solution makes most sense for your business, click here or contact INAP to see how we work to keep you and your data safe! 23	jplist-folder-All-Posts-27105 jplist-folder-All-Posts-27105 jplist-folder-Blog-27106 Blog	jplist-topic-colocation jplist-topic-Dallas-Data-Center jplist-topic-Data-Center jplist-topic-Data-Center-Services jplist-topic-Data-Centers	0	01/02/2018 09:51:24	http://www.inap.com/2017/12/15...3 Reasons You (And Your Business) Should Be Excited About Our Expanded Dallas Data Center Posted on December 15, 2017 by Brian Carberry & filed under All Posts Share Everything’s Bigger in Texas If you haven’t heard by now, INAP recently began construction to expand our main Dallas data center. In fact, our CEO Pete Aquino even laid the first floor tile in what will be the newest data hall in our facility. While we are excited about our expansion in the Dallas market, our new space also provides some big advantages for your infrastructure needs. How Our Dallas Data Center Expansion Impacts You INAP’s premier Dallas data center is already one our top facilities, offering a full range of services and solutions with 100 percent uptime SLA, enhanced connectivity and 24x7x365 support and security. And now it’s going to be even bigger and better. Here are three ways our expansion will benefit your business and IT infrastructure. 1. More Space By adding more space to our facility, we’ll have more room to accommodate your growing needs. When establishing your data center footprint, it’s important to think about the future. What’s the sense in investing your time and money in a solution that doesn’t align with your growth strategy? The biggest benefit of adding more space means you’ll have more room to grow. The existing space in our data center had already reached more than 75 percent capacity, so by expanding, you’ll have the ability to plan ahead and utilize available cabinets as your business needs evolve. Of course, with INAP you also have the option of adding to your density without increasing your physical footprint. So, regardless of the type of growth you require, if you find yourself in a position where you need to scale up quickly, we will provide personalized solutions for your unique business environment to have you up and running quickly. 2. More Power You’re probably wondering how all that extra space will impact the availability of power. After all, an abundant supply of power is essential for businesses looking for reliable and high-performing solutions for their websites and applications. Our Dallas data center already features state-of-the-art technology and power density up to 20 kW per cabinet. But, if we learned anything from the 90’s sitcom Home Improvement, we could always use more power. This expansion will add at least an additional two megawatts of critical power to our overall facility, which gives you peace of mind knowing you won’t run out of juice when you scale up your footprint and power consumption. Plus, our fully redundant system ensures your network is always powered and you’re never left in the dark. The bottom line: You’ll always have the power you need when you need it in our expanded data center. 3. Location, Location, Location Nothing is changing about the physical location of our Dallas facility. It’s staying in the same building. But by expanding, you have more opportunities to house your environment in our prime location and take advantage of one of the best IT infrastructure markets in the country. The region offers lower costs on power and has a wealth of tech-savvy workers. Plus, the city is positioned in the middle of the country with easy access to both coasts and the Mid-West states, giving your business a strategic advantage and providing direct connections to other sites across the country via INAP’s backbone. Expansion Without Compromise INAP remains committed to providing the best data center services to power your business. Our new space allows us to expand without compromising the high-quality solutions and Tier III-type infrastructure with 2N redundancy and 99.999% guaranteed uptime that you’ve come to expect. To learn more about how your business applications and infrastructure would benefit from the services at our expanded data center, request a call from us. An INAP representative will reach out to discuss your specific needs. 24	jplist-folder-All-Posts-27105 jplist-folder-All-Posts-27105 jplist-folder-Blog-27106 Blog	jplist-topic-Cloud-Storage jplist-topic-Colo jplist-topic-colocation jplist-topic-Colocation-Provider jplist-topic-Managed-Hosting jplist-topic-Managed-Hosting-Provider jplist-topic-Managed-Services jplist-topic-Managed-Storage jplist-topic-storage jplist-topic-Storage-Location	0	01/02/2018 09:47:48	http://www.inap.com/2017/12/06...3 Signs Your Business Might Need Managed Storage Posted on December 6, 2017 by Brian Carberry & filed under All Posts Share How to Win the Storage Wars New technology is both a blessing and hindrance in the IT world. Data is becoming more complex and businesses are demanding faster access to larger amounts of digital information. As a result, new equipment is constantly being developed which can accommodate more speed, storage and performance. This new technology is great if you’re in the market for all new equipment; but let’s be honest, you’re probably not. And even if you are looking to do a full upgrade of your systems, investing in top-of-the-line equipment is likely a more expensive solution than most businesses are comfortable spending. The result is a less than optimal solution which may not seamlessly integrate into your existing environment and cause more problems down the road. Plus, you risk untimely disruptions and downtime while deploying your new infrastructure. And we won’t even get into changing SLAs and business priorities. Fortunately, there is a solution which can provide the options you need with the convenience of passing the grunt work to someone else: Managed storage. Does Your Business Need Managed Storage Managed storage is a service that allows all aspects of your data storage – from monitoring to maintenance – to be administrated and supervised within your environment. This reliable and high performing solution combines flexibility and scalability with the speed and efficiency you need to keep your applications running smoothly. It doesn’t matter which industry your business occupies, you will likely have a need for managed storage. The bigger question isn’t if you need managed storage, rather when you will need it. The bigger question isn’t if you need managed storage, rather when you will need it. #managedstorage CLICK TO TWEET Here are three big signs your business might be ready for a managed storage solution today. 1. Your Current System is Outdated Just like how a new car loses value the moment you drive it off the lot, your IT infrastructure can quickly become outdated after it’s deployed. This shouldn’t come as a surprise considering the innovation and speed at which new technology is unveiled. Just look each fall when the major cell phone companies release their latest and greatest devices. It’s not feasible or practical to replace your storage system with each tech advancement, so some IT departments are getting by with patchwork improvements or continually adding capacity to legacy systems. This may temporarily solve the problem, but with limited flexibility, you will run into more problems when you inevitably need to scale up your storage capacity again. 2. You Are Constantly Playing Catch Up with Your Storage Plan Did you know the International Data Corporation (IDC) estimates that enterprise data doubles every 18 months? If you’re not adequately planning for this surge of digital information, you’ll soon be faced with a situation that involves investing more of your budget to storage instead of spending capital dollars elsewhere, which could negatively impact the overall performance of your business applications. Even if you have a solution in place, are you proactively managing your storage capacity and performance? For instance, your environment should allow you the flexibility to seamlessly scale out when you reach your capacity limit. If you’re not planning with your current and future needs in mind, you’ll always be playing catch up when it comes to your storage solution. 3. You Don’t Have Time to Properly Manage Your Storage It’s no secret that running an effective IT infrastructure takes time and hard work. In addition to maintaining the upkeep of your equipment, you are constantly monitoring performance and storage to ensure your website and applications are running optimally to provide the best experience for your end users. And when you do need to evaluate your storage lifecycle, you may find the process is lengthy and complex ­– providing insufficient data that’s not conducive to making an informed decision. If you’re looking for a solution that can streamline the storage management process by making proactive decisions using predictive analytics, and allowing you more time to focus on your core business, you might want to consider managed storage. Why INAP’s Managed Storage Solution Makes Sense for You INAP offers a storage solution that meets or exceeds all of the standards you’d expect and require from a managed hosting provider. Our service provides performance, reliability (99.9999% availability) and security, with proactive flexible and scalable options so you’re never caught off guard when you are running out of space. Plus, our team of experts provides all the maintenance to keep you operating 24x7x365, so you can focus your time and resources on more important business matters. Contact us today to learn more about how our managed storage solution can improve your performance and efficiency. 25	jplist-folder-All-Posts-27105 jplist-folder-All-Posts-27105 jplist-folder-Blog-27106 Blog	jplist-topic-cloud jplist-topic-cloud-computing jplist-topic-Cloud-Environments jplist-topic-cloud-provider jplist-topic-Hypervisor jplist-topic-Private-Cloud jplist-topic-Public-Cloud	0	01/02/2018 09:45:10	http://www.inap.com/2017/11/14...Choosing a Public Cloud: Avoiding Noisy Neighbors Posted on November 14, 2017 by dMitri DeVos, VP, Sales Engineering & filed under All Posts Share I frequently hear people asking how to choose from among so many potential cloud options. The answer, I’m afraid, is “It depends.” Some cloud providers may over-provision their resources, causing your traffic to slow down. This drop in service is often called the “noisy neighbor” syndrome, but how can you avoid this? Location, Location, Location Just like choosing a house, it’s important to get a comfort level with the neighborhood. To evaluate cloud provider environments, you need to ask a few questions: 1.) What is the underlying hardware in the cloud environment? For performance issues, you first want to confirm that the processor is equal or greater in horsepower than your computing needs. It is also important to know if hyper-threading is activated on the processor. For example, our AgileCLOUD is built using Intel e5-2650v3 processors, which have 10 cores running at 3.0 GHz per core and hyper-threading enabled, effectively doubling the processing power. 2.) What is the vCPU ratio? In a virtual cloud environment, the hypervisor will divide the CPU cores into smaller mini-CPUs or virtual CPUs (vCPUs). Many providers will oversubscribe the available vCPUs; in other words, they will assign more vCPUs than physically available. This assumes that running virtual servers requires all the CPU cycles assigned. Cloud environments that oversubscribe are often cheaper and are ideal for workloads that are typically idle most of the time. When a guest operating system is installed on the hypervisor, the guest instance is assigned a pool of vCPUs, as well as virtual RAM (vRAM) and disk storage to be used. The hypervisor manages the time a vCPU has access to the physical CPU in a round-robin manner, thus creating vCPU queues. 3.) What are the underlying disk configuration and network speeds? The local disk type (SSD or HDD), number of disks and the RAID configuration will affect the performance of an I/O intensive application. AgileCLOUD uses SSD disks with RAID10, providing the fastest local disk performance possible.Image Above: Hypervisors manage CPU queues as well as RAM queues, disk access and network access. Here is where bottlenecks can cause performance to drop. Hypervisors and the Noisy Neighbor Syndrome Just like large lots make for quiet neighborhoods, a low physical to virtual ratio makes for good computing. A cloud with a low ratio will have more access to the physical hardware, like a house with a large yard keeps noisy neighbors’ music from disturbing your dinner. A higher ratio of resources means you have less access to the actual physical hardware, which would be like your townhouse neighbor’s rock band practicing next door. Understanding a cloud provider’s performance is more complicated than vCPU price performance. Compare the processor speeds: some cloud providers have different generations on hardware with different clock speeds (and cores).What is the oversubscription ration?Available Disk I/O, both read/write capacity of the drive and network access if attaching to a block storage device are critical to server performance.Finally, understand the physical network capacity of the server to move both LAN/WAN data and any storage access. Image Above: It’s the ratio allocation of vCPU and vRAM that contributes to the Noisy Neighbor Syndrome. The lower the ratio, the less likely your neighbors will bother you. INAP Provides You Options Our AgileCLOUD for example, comes in two flavors and, depending on your workload, one may be better than the other. Our Series A is specifically suited for web, application and light I/O workloads. Our Series B is better suited for applications that have higher CPU and memory demands. Answering which of these two options is better for you depends on the workload you have, and the answer may even be both! Let me break down the differences for you. The obvious differentiator between the two options is the hypervisor on the AgileCLOUD lineup. To keep it simple, our AgileCLOUD offers two series of cloud compute (see table below). Our A Series, good for small databases, websites and content management systems that require moderate CPU utilization has a 3:1 vCPU to CPU ratio. Our B Series, better for medium databases, complex websites and scheduled batch processing tasks requiring heavy memory and CPU utilization has a one to one (1:1) ratio. In other words, we don’t overprovision on the B series, so there is no chance of CPU contention and little chance of that noisy neighbor. Armed with this knowledge, we believe that you will be in a better position to understand the vast array of available cloud options. If you are interested in learning more about cloud solutions that can fit into your unique cloud strategy, contact us today to speak with one of our cloud professionals or deploy your instances right away in our cloud portal. 26	jplist-folder-All-Posts-27105 jplist-folder-All-Posts-27105 jplist-folder-Blog-27106 Blog	jplist-topic-cloud jplist-topic-colocation jplist-topic-Houston-Data-Centers jplist-topic-INAP jplist-topic-Internap jplist-topic-Ip jplist-topic-Managed-Hosting jplist-topic-Network	0	09/11/2017 16:27:55	http://www.internap.com/press-... INAP encourages customers who are unable to access the data center due to flooded and damaged access roads or need a disaster recovery solution to call 1-833-INAP-HOU INAP launches employee and company matching relief fund to support American Red Cross efforts in Houston ATLANTA– (September 11, 2017) – Internap Corporation (NASDAQ: INAP), (“INAP” or the “Company”), a provider of high-performance Internet infrastructure including Colocation, Network and Managed Services, and Cloud Services, today announced that despite widespread flooding and damage caused by Hurricane Harvey in Houston and the surrounding areas, INAP’s Houston data center remains 100% operational for its entire product portfolio and the company has pledged resources toward the recovery efforts. “Despite a reported 51 inches of rain in Houston and the surrounding areas, our data center remains dry and secure, with extra staff on hand to provide on-site, proactive support for our clients who are critically dependent on our services,” said Corey Needles, INAP COLO’s SVP and General Manager. INAP’s Network Operations Center (NOC) continues to inspect and monitor the facilities and the services utilized by INAP customers. “There have been no network or utility interruptions at our facility,” added Needles. “We’ve remained open for business and have facilitated a number of requests for customers who could not access the data center given the devastation caused by Harvey. Our network infrastructure has performed exceptionally well during this unprecedented event and we anticipate no problems for our current and future clients.” INAP has offered colocation and network services in Houston since 2000, expanding its data center space at its Fannin Street facility to meet increasing demand for its services. Not only is the company committed to providing clients with superior service from this location, they are also dedicated to supporting the city and local community. To that end, the company, through its corporate social responsibility efforts, has pledged support for people impacted by Hurricane Harvey through an employee fundraiser supplemented with a donation from the company. “We would like to help the people of Houston, including our own local employees. All donations will go directly to the recovery efforts being led by the American Red Cross,” said Peter Aquino, President and CEO. “This is a devastating event for so many people and we are humbled to be able to contribute to the recovery.” Additionally, customers needing assistance with their current infrastructure or a discounted disaster recovery solution can reach INAP through a dedicated phone line – 1-833-INAP-HOU (1-833-462-7468). 27	jplist-folder-All-Posts-27105 jplist-folder-All-Posts-27105 Sell-Sheets-Sell-Sheets	jplist-topic-Cdn jplist-topic-cloud jplist-topic-colocation jplist-topic-Data-Center jplist-topic-INAP jplist-topic-Internap jplist-topic-Ip jplist-topic-Managed-Hosting	0	09/11/2017 16:01:06	We are a leading global provider of high-performance data center and cloud solutions. Through our portfolio of high-density colocation, managed cloud hosting and powerful network services, we partner with customers worldwide to create secure and scalable IT infrastructure solutionsdesigned for the results they need today and the growth they expect tomorrow. 28	jplist-folder-All-Posts-27105 jplist-folder-All-Posts-27105 Data-Sheet-Data-Sheet	jplist-topic-AWS jplist-topic-Bare-metal jplist-topic-Baremetal jplist-topic-Baremetal-Cloud jplist-topic-cloud jplist-topic-Dedicated-Server jplist-topic-Opensource jplist-topic-Openstack jplist-topic-Server jplist-topic-Vm jplist-topic-Vmware jplist-topic-Vps	0	09/11/2017 14:35:43	For workloads that demand efficiency and security, INAP Bare Metal provides predictable performance, automated deployment and flexible options while offering the same cloud management capabilities as public and private clouds. Bare Metal servers are offered in a wide range of configurations with the added convenience of a customer portal and API that enables the use of a single platform for both cloud and bare metal provisioning. Every server is offered with fullline rate public and private 10 gigabit uplinks and access to our Performance IP® backbone for low latency and optimal application availability. 29	jplist-folder-All-Posts-27105 jplist-folder-All-Posts-27105 Data-Sheet-Data-Sheet	jplist-topic-cloud jplist-topic-colocation jplist-topic-Ip jplist-topic-Network	0	09/11/2017 14:22:55	Premium Data Centers: Backed by a proactive 100% uptime SLA, INAP facilities offer 18x more availability than N+1 alone. Enhanced Connectivity: Carrier neutral meet me rooms supplement INAP’s industry leading Performance IP™ and enable connections to a host of third party services. Future Proof Services: Add scale on demand by consuming up to 20kW in a single cabinet or by leveraging INAP’s bare metal and cloud options. Award Winning Support: Colocation and Network Engineers are on site and ready to assist 24 hours a day, 7 days a week, 365 days a year. 32	jplist-folder-All-Posts-27105 jplist-folder-All-Posts-27105 Data-Sheet-Data-Sheet	jplist-topic-cloud jplist-topic-colocation jplist-topic-Ip jplist-topic-Network	0	09/11/2017 14:02:16	Premium Data Centers: Backed by a proactive 100% uptime SLA, INAP facilities offer 18x more availability than N+1 alone. Enhanced Connectivity: Carrier neutral meet me rooms supplement INAP’s industry leading Performance IP™ and enable connections to a host of third party services. Future Proof Services: Add scale on demand by consuming up to 20kW in a single cabinet or by leveraging INAP’s bare metal and cloud options. Award Winning Support: Colocation and Network Engineers are on site and ready to assist 24 hours a day, 7 days a week, 365 days a year. 33	jplist-folder-All-Posts-27105 jplist-folder-All-Posts-27105 Data-Sheet-Data-Sheet	jplist-topic-cloud jplist-topic-colocation jplist-topic-Ip jplist-topic-Network	0	09/11/2017 13:40:39	Premium Data Centers: Backed by a proactive 100% uptime SLA, INAP facilities offer 18x more availability than N+1 alone. Enhanced Connectivity: Carrier neutral meet me rooms supplement INAP’s industry leading Performance IP™ and enable connections to a host of third party services. Future Proof Services: Add scale on demand by consuming up to 20kW in a single cabinet or by leveraging INAP’s bare metal and cloud options. Award Winning Support: Colocation and Network Engineers are on site and ready to assist 24 hours a day, 7 days a week, 365 days a year. 34	jplist-folder-All-Posts-27105 jplist-folder-All-Posts-27105 Data-Sheet-Data-Sheet	jplist-topic-cloud jplist-topic-colocation jplist-topic-Ip jplist-topic-Network	0	09/11/2017 13:38:15	Premium Data Centers: Backed by a proactive 100% uptime SLA, INAP facilities offer 18x more availability than N+1 alone. Enhanced Connectivity: Carrier neutral meet me rooms supplement INAP’s industry leading Performance IP™ and enable connections to a host of third party services. Future Proof Services: Add scale on demand by consuming up to 20kW in a single cabinet or by leveraging INAP’s bare metal and cloud options. Award Winning Support: Colocation and Network Engineers are on site and ready to assist 24 hours a day, 7 days a week, 365 days a year. 35	jplist-folder-All-Posts-27105 jplist-folder-All-Posts-27105 Data-Sheet-Data-Sheet	jplist-topic-cloud jplist-topic-colocation jplist-topic-Data-Center jplist-topic-Ip jplist-topic-Network	0	09/11/2017 13:32:37	Premium Data Centers: Backed by a proactive 100% uptime SLA, INAP facilities offer 18x more availability than N+1 alone. Enhanced Connectivity: Carrier neutral meet me rooms supplement INAP’s industry leading Performance IP™ and enable connections to a host of third party services. Future Proof Services: Add scale on demand by consuming up to 20kW in a single cabinet or by leveraging INAP’s bare metal and cloud options. Award Winning Support: Colocation and Network Engineers are on site and ready to assist 24 hours a day, 7 days a week, 365 days a year. 36	jplist-folder-All-Posts-27105 jplist-folder-All-Posts-27105 Data-Sheet-Data-Sheet	jplist-topic-cloud jplist-topic-colocation jplist-topic-Data-Center	0	09/11/2017 13:25:54	Premium Data Centers: Backed by a proactive 100% uptime SLA, INAP facilities offer 18x more availability than N+1 alone. Enhanced Connectivity: Carrier neutral meet me rooms supplement INAP’s industry leading Performance IP™ and enable connections to a host of third party services. Future Proof Services: Add scale on demand by consuming up to 20kW in a single cabinet or by leveraging INAP’s bare metal and cloud options. Award Winning Support: Colocation and Network Engineers are on site and ready to assist 24 hours a day, 7 days a week, 365 days a year. 37	jplist-folder-All-Posts-27105 jplist-folder-All-Posts-27105 jplist-folder-Blog-27106 Blog	jplist-topic-cloud	0	09/11/2017 10:26:05	Downtime happens. Recently (February 28th, 2017), the largest cloud provider in the galaxy and possibly the universe—we’re unsure how far alien technologies have progressed—suffered a huge outage that affected a massive number of customers. This isn’t meant to throw stones at AWS (Amazon Web Services); all technologies are at risk of suffering downtime be it at the data center, in your network, through your cloud provider or the physical equipment you utilize. AWS isn’t the first cloud provider to have a failure and I can promise you that they won’t be the last. They’re a good fit for many folks, which is why they’ve become an industry leader. What this recent catastrophic crash does do, however, is raise the all-too-important point that single points of failure are everywhere. Single points of failure are everywhere…it’s your job to eliminate them CLICK TO TWEET If you’re in charge of making sure your customers or employees have access to your online presence, it’s your job to eliminate them. It’s a tall task, no doubt—but it’s achievable. This is going to be a hot topic for the remainder of 2017 and likely part of many job descriptions moving forward. Let’s take a look some of the most common portions of Internet infrastructure builds to identify and suggest ways to eliminate these single points of failure. How to remedy: Move static portions of your cloud load to geographically dispersed edge data centers in colocation builds. Clouds are great for flexibility but don’t offer the performance, reliability and significant cost-savings that having your own hardware housed in a premium data center does. Use more than one cloud provider. This may sound like an obvious fix, but don’t put all of your eggs in one basket. The physical location of the computers that house these cloud instances has a significant impact on latency and therefore customer experience, so make sure they’re close to where your customers are. Ensure that the cloud / hosting instances are housed in data centers that are highly redundant. Make sure you’re either currently in or can move to a colocation provider with multiple geographically diverse edge data centers close to one or more of your customers’ physical presence. Make sure to have more than one data center / colocation presence to protect against catastrophic failure. If you don’t have an on-site engineer, make sure that the facilities you’re considering offer remote hands service from an actual engineer. If your hardware fails or you need a reboot, not being able to access your failed hardware is the most helpless feeling in the world. At a minimum, you want to be connected to more than one Network Service Provider (NSP). Just like all cloud providers go down, all network service providers have issues and can go down. Very few offer Service Level Agreements (SLAs) higher than four nines 99.99%, let alone 100% (shameless plug, we do). Alternatively, you can connect to an optimized IP service that ensures your traffic is traveling the best possible route all of the time. These technologies work by optimizing for latency, packet loss and jitter and directing your traffic to the optimal path over a handful of different NSPs. What’s more, if any one of those NSPs have any issues at all, your customers won’t feel it as they’ll be routed around the problem to a different NSP. If you’re already multi-homed (connected to more than one NSP) and are running BGP, consider a route optimization appliance that will automatically flip you to the best performing NSP—or away from one which is failing. You want to make sure that your hardware is current and has sufficient life left. This is commonly referred to as a “refresh” and depending on the type of servers you’re using and what they’re asked to do, a refresh will likely be required anywhere from every six months to every five years. Make sure you have several spare servers housed in your cage or storage area at the data center, just in case you need your on-site engineer or colocation provider’s remote hands service to remedy the situation. 38	jplist-folder-All-Posts-27105 jplist-folder-All-Posts-27105 jplist-folder-Blog-27106 Blog	jplist-topic-Amazon jplist-topic-Amazon-Web-Service jplist-topic-Amazon-Web-Services jplist-topic-AWS jplist-topic-AWS-Direct-Connect jplist-topic-cloud	0	09/11/2017 10:22:33	Posted on July 17, 2017 by dMitri DeVos, VP, Sales Engineering & filed under All Posts, Bare Metal When evaluating cloud solutions, how do you determine which one will best meet your requirements? Should you go with a brand name everyone recognizes? Have you outgrown mega-companies’ tiered customer support and vendor lock-in? Whether you are a startup developing cloud-native applications or your organization needs to adopt cloud technology in conjunction with legacy infrastructure, INAP’s cloud offers differentiation in terms of customer support, performance, cost, scalability and efficiency. If you’re a tech startup with a cool new idea and need some simple, cheap infrastructure, you may find yourself thinking “Where can I find a good cloud provider for start-ups?” So off you go to a giant who offers cloud services as one of their many products: you pick a plan, give them your credit card information and bam! Instant access to cloud servers. Your developers are off and on their merry-coding way. Many companies make this move and enjoy the benefits of trusting a recognizable brand, but for others it may be more like the old wives’ tale of how to boil a frog. The water is room temperature, but as the heat gradually increases so does the danger to the unsuspecting frog who can’t sense the changes. Fast forward a year: with a little luck and a lot of sweat, the business starts to grow. You nailed a niche, and customers love it. Traffic increases, transactions per second grow, and with it so does your cloud footprint. Every month the cloud bill comes in and, yeah, it’s getting more and more expensive, but you think, “We can manage, and, honestly, the focus is still on perfecting the technical side of product, not the economic side of the product.” You start to add features that require more infrastructure (storage services, DNS, maybe even some relational database services). But in the back of your mind there is that little voice asking, “Is it getting hot in here?” All the while, you’re growing fast. You’ve hired more DevOps type staff, people who understand both your application and the infrastructure on which it runs. In their eyes, infrastructure is code. You’ve invested countless hours and gobs of money training them on your cloud provider’s way. You’ve got serious investors and a solid customer base who are relying on you day in and day out. Remember that voice in your head? Now it’s screaming, “This is hot. This is HOT!” One morning, in the not-too-distant future, Accounts Payable drops the hefty bill on your desk, and you see a number now quickly approaching 6 figures!! At the same moment, your lead engineer hits you up on Slack™ to warn you that your cool yet cumbersome service is having more performance issues that require you to buy more instances to accommodate the slow down. Then it hits you like that five-gallon bucket of ice water you dumped on your head last summer: you’ve hit the tipping point. Despite careful planning, training and investment, you’re seeing issues all over the place: Inconsistent application performance due to cloud oversubscriptionNoisy neighbors slowing down your serviceAn ongoing struggle to meet performance expectations due to a lack of visibility and control over the cloud environment You add and delete cloud instances, but ultimately it just becomes more instances, more services and bigger bills. Despite your best efforts, the latency issues for end users don’t go away, and the bills keep getting higher. And then it happens… the service goes down. Oh, and by the way, unless you’re paying five-figures per month, most major cloud providers only offer partial support. If you’re at a lower rate, just keep quiet and watch the Twitter feed for updates like anyone else. By this point, it may be too late for the frog to jump out of the pot! What’s your exit strategy? Here at INAP, we hear this story all the time. We call many of our customers “graduates.” They are at the end of their rope with performance, support and billing issues and have come to us looking for a better way. They have then run benchmark tests comparing us to the big-box cloud providers and found that our bare-metal servers and optimized IP transport technology outperform the cloud Goliaths at a fraction of the cost, while avoiding vendor lock-in as INAP’s Agile services are deployed using the open source OpenStack platform. As a result, companies like AppLovin, have significantly reduced operating costs and improved performance with INAP. So, if you are feeling the heat from increased billing for services, a lack of support for your customer level, or a decrease in efficiency for the product you are paying them for, get out of the pot before it gets too hot! Contact INAP to see how one of our services can help get you back to your comfort level so that you can focus on continuing to grow your business and profits. 39	jplist-folder-All-Posts-27105 jplist-folder-All-Posts-27105 jplist-folder-Blog-27106 Blog	jplist-topic-cloud jplist-topic-Newcloud-Vmware jplist-topic-The-Basics-Of-Vmware jplist-topic-VM-Backup-Service jplist-topic-VM-Replication jplist-topic-VM-Ware jplist-topic-Vmware jplist-topic-Vmware-Cloud jplist-topic-Vmware-Cloud-Hosting jplist-topic-Vmware-Cloud-Hosting-The-Basics jplist-topic-Vmware-Private-Cloud jplist-topic-Vmware-Servers	0	09/11/2017 10:20:08	Posted on August 1, 2017 by dMitri DeVos, VP, Sales Engineering & filed under All Posts, Bare Metal Over here at INAP, we’ve been hearing the buzz with VMware and its shifting cloud strategy. RightScale’s latest State of the Cloud Report has confirmed that “public cloud adoption is growing while private cloud adoption flattened and fewer companies are prioritizing building a private cloud” (Right Scale 2017 State of the Cloud Report, p. 36). The report goes on to state that VMware vSphere adoption was flat year over year, confirming what we’re feeling in the market. That said, VMware still holds a high share of the private cloud deployments, and our customers have a significant investment in their licenses. For many VMware users looking to move into the cloud, finding a VMware based public cloud solution without losing their VMware license investment seems limited. I have had several conversations with IT Directors and CTOs about this problem, and most were unaware that they can migrate to INAP’s AgileSERVER Cloud and still use their VMware licenses. But wait…I can run my vSphere cluster on INAP’s public cloud?It’s true, and has been for a while now! INAP launched AgileSERVER, our OpenStack bare-metal platform in 2015, laying the foundation for a VMware cluster in a public cloud environment. Shortly thereafter, we added the ability to support dedicated SAN devices to our Bare-Metal cloud, rounding out the infrastructure needed for a VMware cluster. In fact, INAP provides the following features to make migrating VMware simple for our clients: Dedicated servers that can be provisioned in a cloud-like mannerOver 70 different configurations with multiple processor sets, RAM and disk needsHigh speed 10GB networking in all the serversEntry level to high performance dedicated SAN optionsOptional monitoring and management services The design of our infrastructure will enable your IT department to migrate to the cloud with minimal difficulty. Because INAP serves companies at all points in their growth cycles, we know that some companies may need assistance configuring their VMware cluster or migrating their existing environment. We can even help you with that! Our Solution Engineering team will work with you to size and configure the VMware environment you need. We have the tools and the experience to review your current environment and right-size it based on the current performance. The cloud is the limit tomorrow…Vendor lock-in is a material reality of the corporate world. Companies protect their proprietary information by securing a customer’s loyalty for an agreed-upon time, creating a mutually beneficial relationship. That is, until a customer realizes that they may have a better option elsewhere, with the weight of prior commitments keeping them where they are. At INAP, the customers I talk to recognize the cost and performance benefits of moving to the cloud, but they want to make the most of their VMware investments first. In addition to license costs, their IT operations and platforms are dependent on VMware. These customers believe that their sunk costs would be wasted in migrating to the cloud, so they are always surprised to learn that they can use their existing VMware licenses in our cloud environment! Your new environment will have the same look and feel with the same management practices as a privately hosted VMware cluster, but it’s built on OpenStack Cloud technology. As your teams and applications become more cloud-friendly, you can slowly migrate off VMware, providing further savings in the future when you do not have to renew your licenses. But we can save that discussion for another time… The most important thing to realize is that if you are looking to migrate to the cloud but feel stuck in terms of licenses, technologies or skill-sets, you do have options. Our customers find this solution is an easy step to the cloud with limited risk. Contact one of our specialists to find out what INAP can do to help you transition to the cloud with licenses intact! 40	jplist-folder-All-Posts-27105 jplist-folder-All-Posts-27105 jplist-folder-Blog-27106 Blog	jplist-topic-Big-Data jplist-topic-cloud jplist-topic-Cloud-Data jplist-topic-Colo jplist-topic-colocation jplist-topic-INAP jplist-topic-Internap jplist-topic-Ip jplist-topic-Managed-Hosting jplist-topic-Network	0	09/11/2017 10:17:16	Posted on September 8, 2017 by INAP & filed under All Posts Last week we had the privilege of ringing the Nasdaq stock market Closing Bell to celebrate INAP’s new identity. The evolution of Internap Corporation (INAP) has been underway since Peter Aquino joined INAPnearly one year ago. Changes have and are being made to improve the company, our products and services, and our customer experience, but with change also comes questions. We’d like to address some of the larger changes in hopes of answering the most common questions. New Executive Leadership Team and Alignment under Two Business Units One of the first major initiatives was to hire a new, geographically disperse executive leadership team and align the organization around two pure-play business units that we now refer to as INAP COLO and INAP CLOUD. Our new leadership team consists of very experienced individuals with strong track records of success. They reside in various parts of the U.S. and Canada to ensure they are in tune with our customers and the employees of those different markets. Organizing around two business units, each with their own general manager, allows for more autonomy and accountability so we can better support our customers’ needs in a way that more closely aligns with the market. Improved Financial Position In the first half of 2017, we raised $43 million in a common equity private placement and completed $300 million in senior secured debt refinancing. This increased financial flexibility bodes well for the confidence of our investors and lenders regarding the future of INAP. Our company is financially healthy and poised for growth. We will continue to invest in enhanced products and management tools for our customers, new data center locations and growth at our existing data centers. 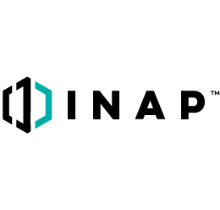 Updated Branding To demonstrate our commitment to the future growth of INAP and create an enduring reminder of the accountability we owe our customers and investors, we’ve rebranded the company to better align with our stock ticker symbol – INAP. As we continue to roll out this new brand, we refocus our efforts on the values that are at the heart of our success: Integrity: We believe in being honest — with ourselves, with each other, with our customers. It’s this expectation of integrity that sets us apart. Quality and Service Excellence: We’re proud to offer superior colocation, cloud, managed hosting and network services, but we believe our most important attribute is our superior customer service. Every employee’s top priority is taking care of our customers. Mutual Support, Teamwork and Generosity of Spirit: We have a strong team to thank for our innovative approach to internet connectivity, so we’re committed to integrating collaboration into every aspect of our corporate culture. Innovation and Creativity: We can only move ahead by continually generating new ideas and critically evaluating ourselves. Our creativity is instrumental for our future. We have embraced this past year as a year of change and welcome the refocus on running our business for the long-term. We are INAP!